Powder Coating_Jiangsu Faer wax industry Co.,Ltd. 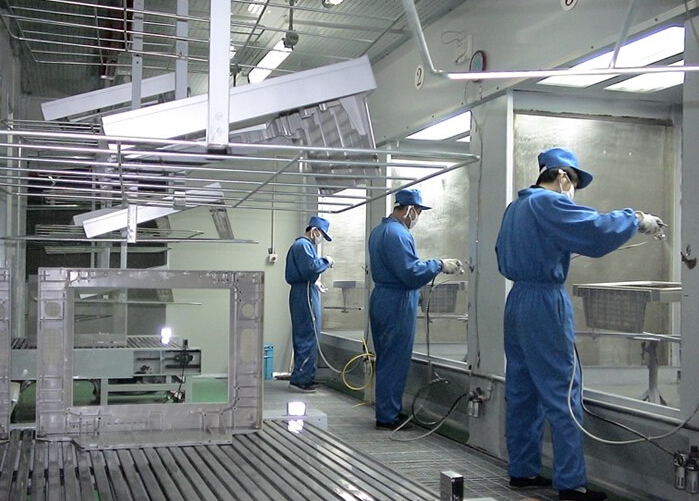 Powder coating is a new kind of solvent-free solid paint, it is widely applied to the surface coating of various metal products because of its environmental protection, recyclable, saving energy, reducing labor intensity and high mechanical strength. 2. Scratch resistance, abrasion resistance, anti polishing, anti marking. 3. Dispersion of pigments and fillers. 4. Increase yield, reduce the screw torque, The extruder production rate can be increased by 5-25% after add 1% of Faer wax. 6. Waterproof property, make the film has better hydrophobicity. 7. Material base is wetting, could help the gas that adsorbed on the porous substrate out when Faer wax separate out from film.